"A PALETTE THAT HAS BOTH NEUTRALS AND COLORFUL SHADES AT ONE GO THAT IS LIFE'S A DRAG PALETTE". 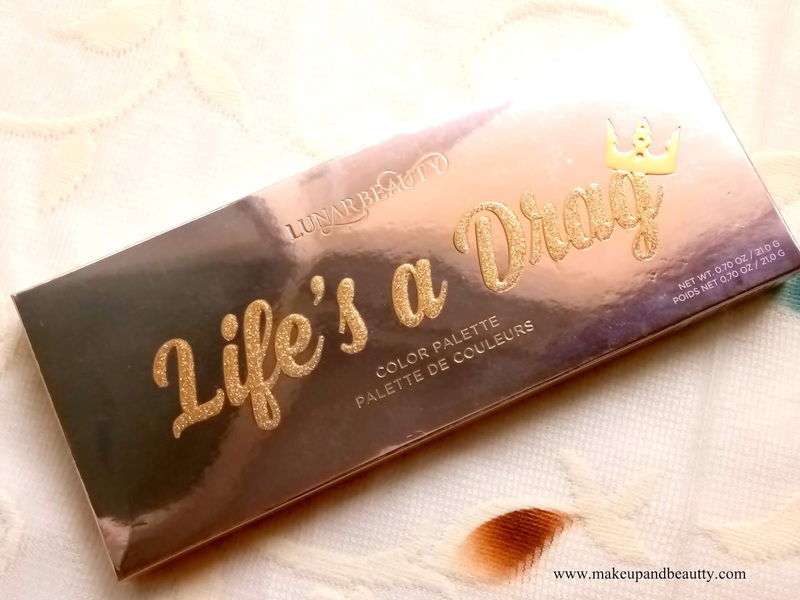 Finally, I am up with LunarBeauty Life's a Drag Palette review. 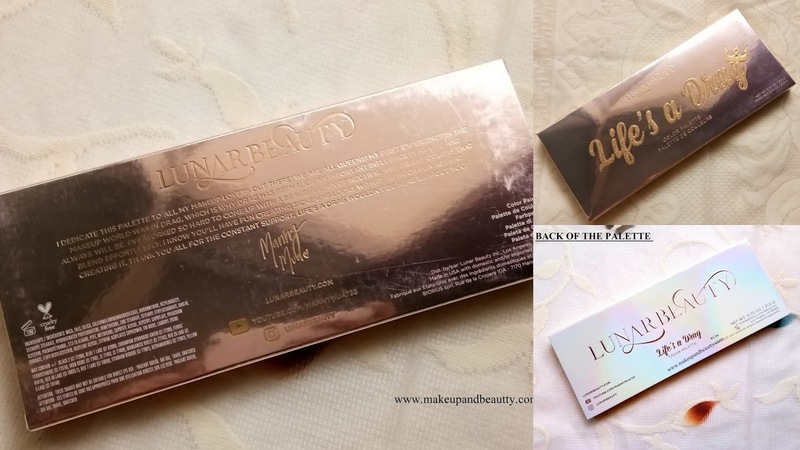 If you are not aware of LunarBeauty Life's a Drag Palette then let me tell you that the famous YouTuber "MANNYMUA" has come up with his own palette and this Lunar Beauty Life's a Drag Palette is one of his own creation. 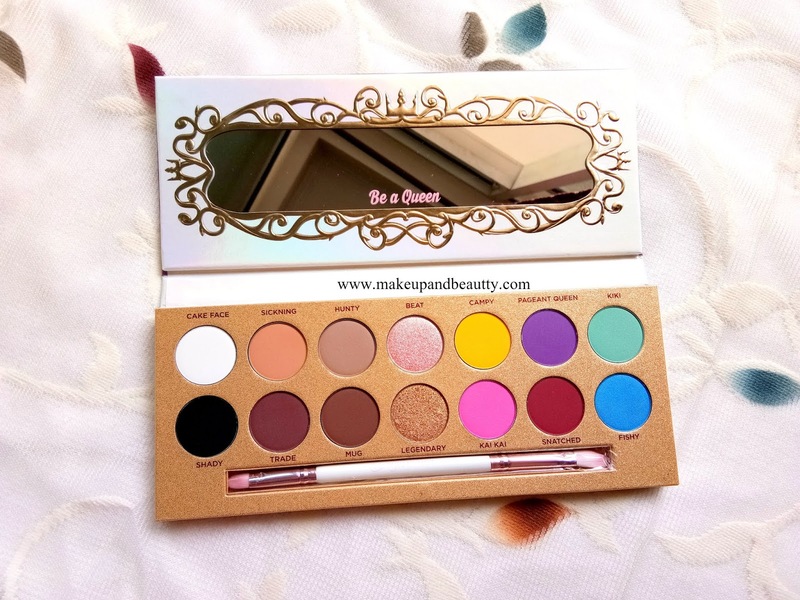 The palette has everything according to "MANNYMUA'S" choice. Price:- $45 which is approx. 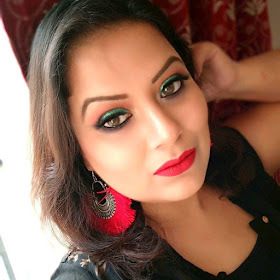 Rs.5000/- if you buy from Instagram seller. 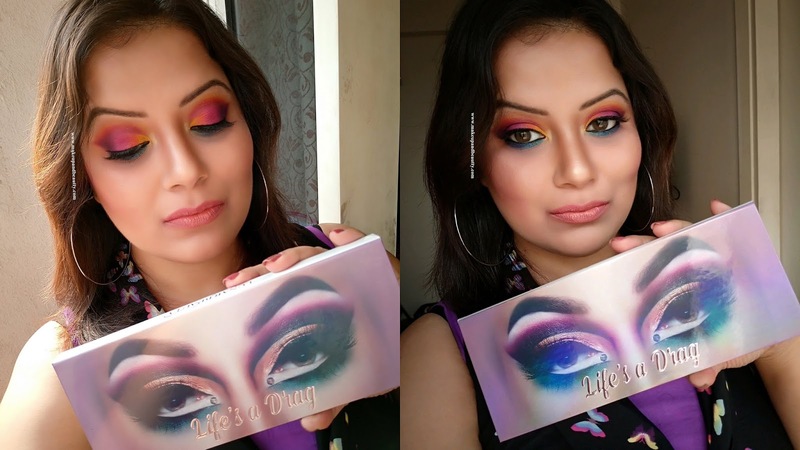 Feel the fantasy come alive in this fierce and fabulous 14 pan palette. 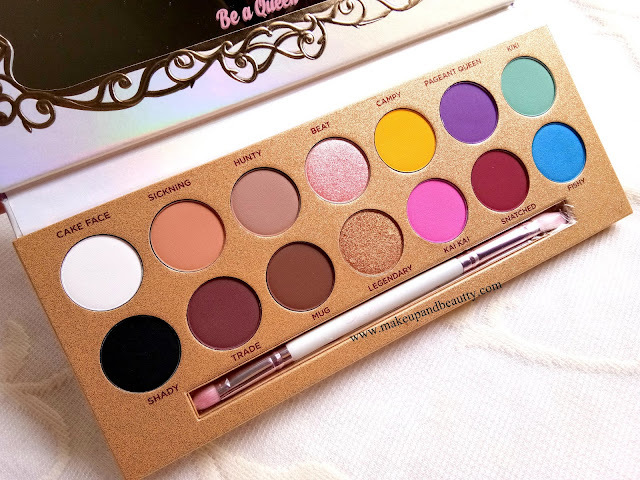 This cruelty-free, playful palette contains all the perfect shades which holds effortlessly to the eyes and blends smoothly and evenly. These shades may not be suitable for direct eye use. Always use your favorite brush when painting your mug. 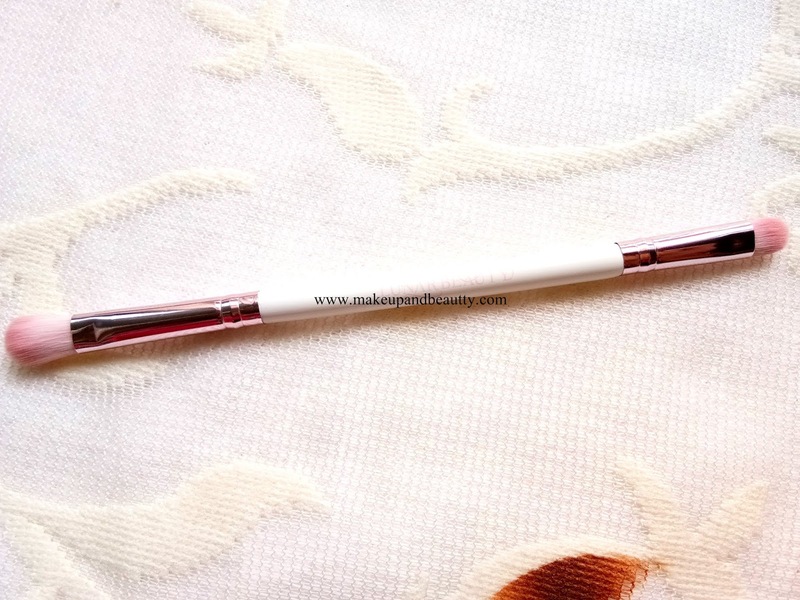 Use a regular, but stronger brush to get the most color. For blending, using softer brushes is the way to go. 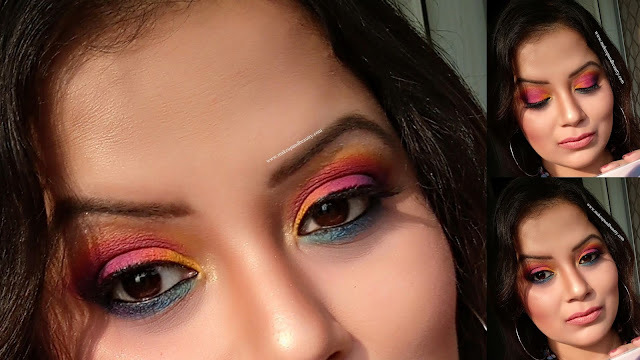 To line the eyes, it’s best to use small, angled brushes. 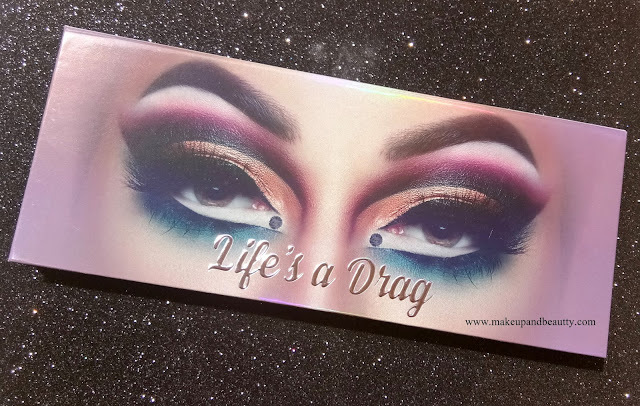 The palette comes in a hard holographic cardboard box which has a magnetic closure. 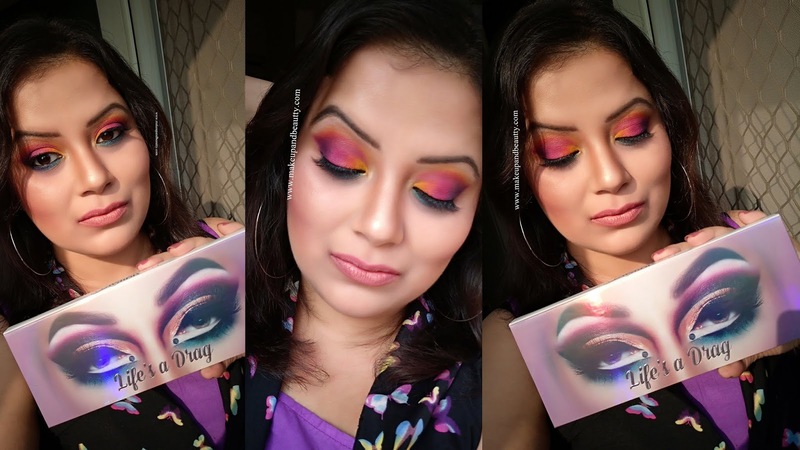 The name of the palette written in golden glitter on top of carton box and on the top of the palette have the holographic design of eye makeup which makes the packaging of the palette beautiful. 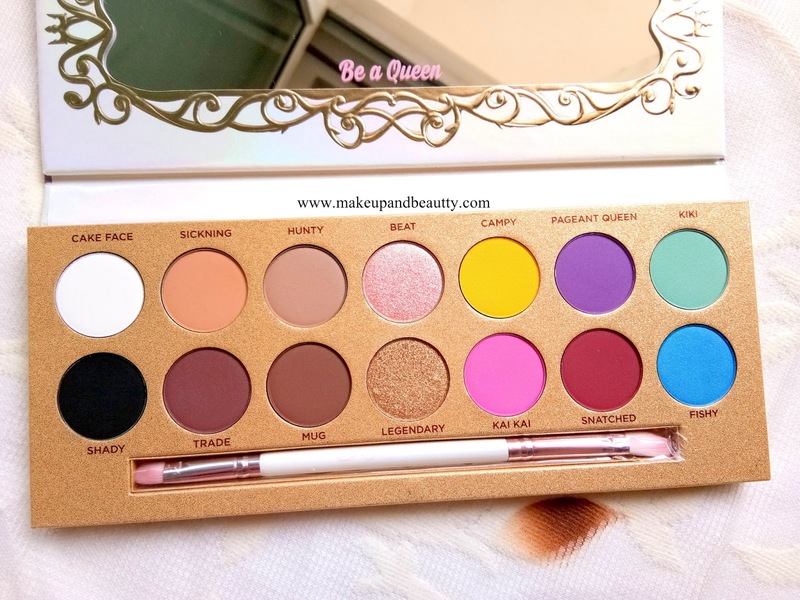 At the back of the carton box of the palette there is a message from Mannymua also which gives a personal touch to the palette.The palette comes up with a mirror which has a beautiful design surrounding it and in the mirror, it is written: "BE A QUEEN" which actually makes you feel special like MannyMua itself saying it to you whenever you open it...I know I am getting emotional with the packaging but if you truly love eyeshadow palette's packaging then this packaging of the palette definitely going to steal your heart.The palette comes up with a dual end high quality brush with which you can do some perfect eye makeup as the brush is so soft as well as we can do touch up too. 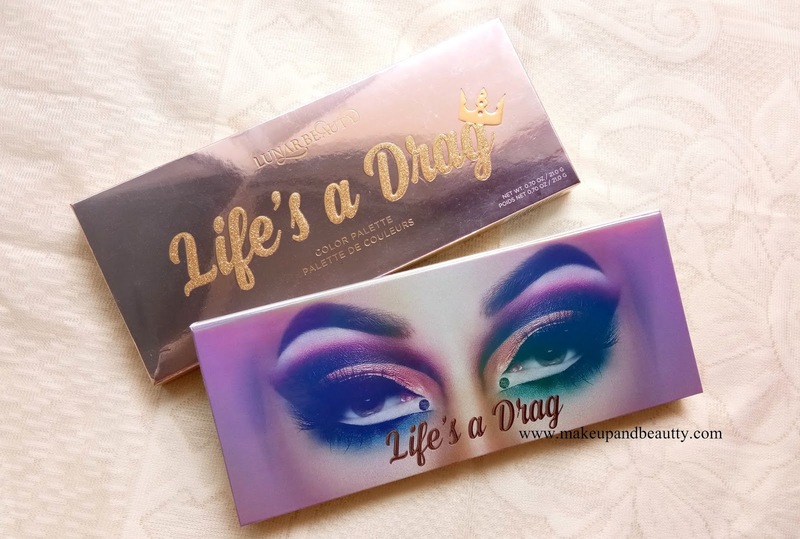 Well, I am a big fan of Mannymua. Whatever I learned about eye makeup I learned mostly from his videos. So whenever he collab with any brands I make sure that I grab something from his collaboration and I keep on doing it till now. So when he launched his palette it was definite that I wanted it for my stash. 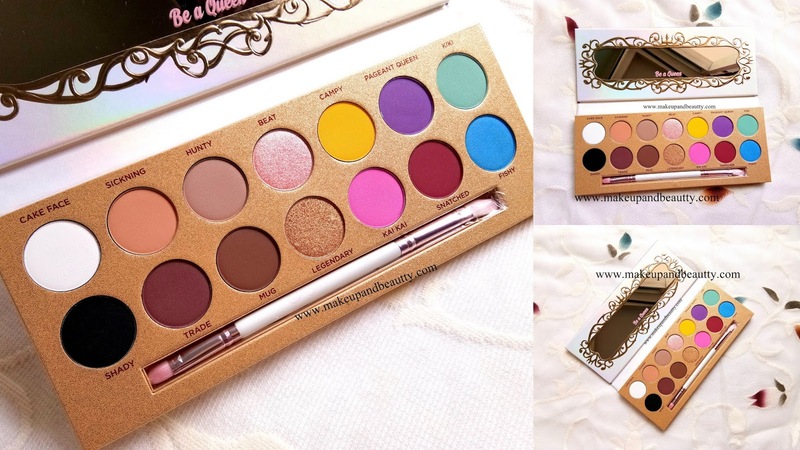 So the palettes has 14 shades of different finish matte, satin, and glitter. 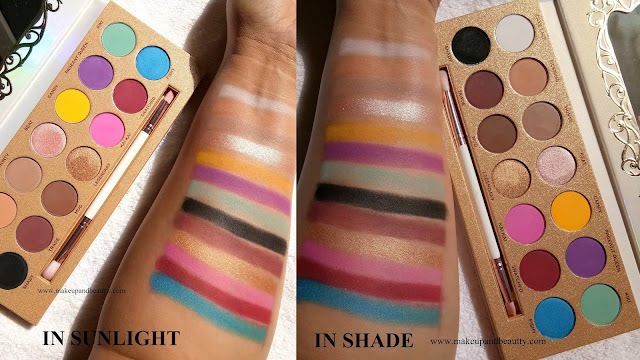 The palettes have 8 neutrals and 6 colored shades which together make the palette so colorful. The texture of each eyeshadow is buttery. And there is hardly any fallout. 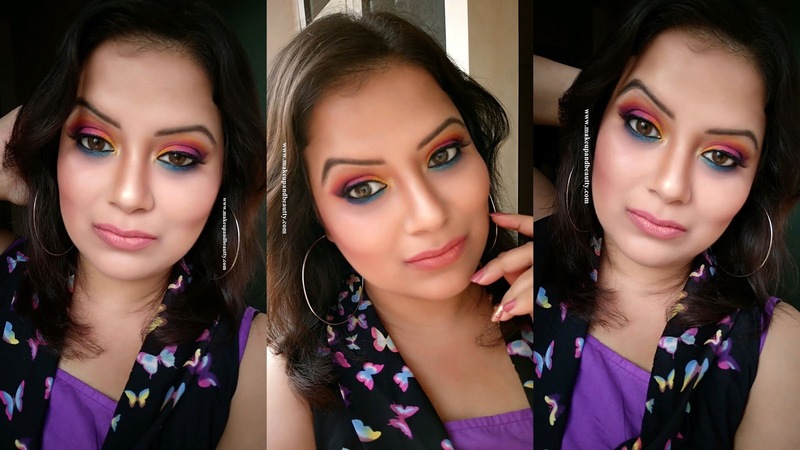 The eyeshadows are easy to blend and they are super pigmented. Even the shades of blue and purple blends easily which seem little difficult to work with. Overall I just love love love the palette and it is a priceless and another beautiful palette for my collection. Before I end my review let me tell you that LunarBeauty Life's a Drag Palette will be 33% off in this BLACK FRIDAY (23RD NOVEMBER) on their website.